Since 1953, it has been RainSoft’s mission to provide homeowners in Chicago, Illinois, and other cities across North America and around the globe with the finest whole-house water and air treatment products. Every water softener, water filtration system, drinking water system, and home air purification system that we install is backed by a Limited Lifetime Warranty and assembled in the U.S.A. at our own ISO-certified facility. We further ensure the integrity and effectiveness of our products through rigorous quality assurance testing performed by outside organizations, including the Water Quality Association and NSF International. As a RainSoft customer, you can therefore have complete confidence that you are investing in state-of-the-art equipment that will provide a lifetime of dependable performance. Water softener – We offer two models, the automated EC4 and the timer-operated TC Series. 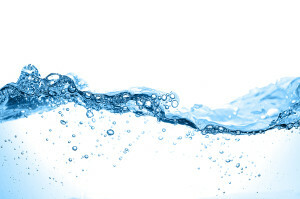 Both use a process called ion exchange to produce an abundant supply of luxurious soft water. Water filtration system – RainSoft offers a variety of problem-solving filters that are designed to remove specific contaminants, such as iron, sulfur, manganese, and sediment, which are sometimes present in the local water supply. Drinking water system – Enjoy crisp, fresh-tasting water right from your kitchen faucet with one of RainSoft’s premium drinking water systems. Our Ultrefiner II, for example, utilizes reverse osmosis technology to purify water at the molecular level, producing bottle-quality water for drinking and cooking. Air purification system – Did you know that indoor air can actually be four to 40 times dirtier than the air outside? We offer a premium duct-mounted home air purifier that eliminates harmful airborne contaminants and unwanted household odors. Known as the AirMaster Ultra, it is designed to work silently and out of sight whenever your heat, air conditioning, or fan is running. Behind every RainSoft product is a company that has been at the pinnacle of the residential water and air treatment industry for decades. Our longevity is simply a natural result of our ongoing commitment to product innovation, customer satisfaction, and dealer support. To schedule a complimentary in-home water and air quality test, contact your authorized RainSoft dealer in Chicago, IL, today.